One can’t help but notice that migration is increasing. The trend over the last century has been toward greater mobility for more people around the world. Many people today live in a place different from where they were born, with different social norms and customs. A new study by University of Maryland researchers points to a surprising byproduct: increased mobility may help people to treat each other as individuals rather than as members of a defined social group. The work suggests that mobility counteracts the tendency of populations to become more ethnocentric—or prone to favor members of their own ethnic, tribal or national group while being hostile to other groups—over time. The study appears online in the journal Nature Scientific Reports on December 8, 2015. Historically, most group conflicts have been between people who define themselves primarily by the groups to which they belong. 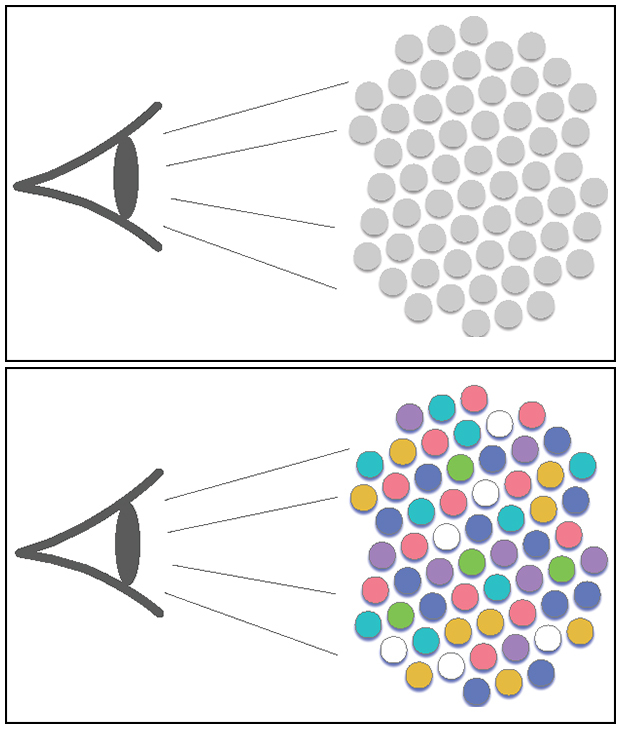 Previous psychology research has established that such categorization is natural, with humans classifying others into “in groups” and “out groups.” A common outcome is for individuals to favor those in their own group while being hostile to outsiders. Indeed, many cultural psychology studies have suggested that that this tendency toward ethnocentrism is inevitable in the development of human societies. The current study supports the idea that ethnocentric behavior is not inevitable, but is affected by structural conditions within a society, including overall levels of mobility. The team began with a well-established computer model of human behavior based on the tenets of game theory, a concept that economists, political scientists and psychologists use to study patterns of human decision-making. Such collaborations between computer scientists and social scientists have become more common, as the former can use computational models to test theories put forward by the latter. By introducing mobility into their model, the researchers dramatically reduced the emergence of ethnocentric behavior. Their results indicated that when societies are more mobile, their actions are more likely to depend on seeing people as individuals, rather than as part of a perceived group. In addition, the findings show that there is less hostility toward other groups in highly mobile places compared with those with low mobility. Research in cultural psychology suggests that in mobile societies, people strategically adapt to their situation by changing their relationships often, having a broad network of casual acquaintances and being open toward strangers. They are likely to evaluate others based on their individual trustworthiness and worth. But in places where people are not very mobile, opportunities to form new relationships are limited—and ending existing relationships can carry harsh consequences. In these places, maintaining loyalty to one’s own group while keeping a safe distance from other groups is a good adaptive strategy. The researchers ran their game theoretic model through tens of thousands of iterations, covering various scenarios on UMD’s Deepthought2 supercomputer cluster. In low-mobility scenarios, the researchers found that 75 percent of the population adopted strategies that favored their own group and were hostile to others. When the researchers increased the amount of mobility in the model, the inverse scenario developed, with about 70 percent of the population using strategies that were more dependent on individual behavior. Thus, mobility thwarted the evolutionary dominance of group perception and ethnocentric strategies. The team then tested their results against real-life data from the U.S. Census Bureau, which provides measures of mobility for all 50 states. Mobility was positively correlated with responses to the question, “I am interested in the cultures of other countries” and negatively correlated with responses to questions related to ethnocentric attitudes. This analysis of census data was consistent with the results from the model. “It’s always good to test whether what you predict in your model actually happens in real life,” Nau said. Gelfand is careful to note the research does not address how mobility affects people’s attitudes, but rather how it affects people’s interactions with one another. Gelfand also cautioned that because the model is very abstract, it will not apply to every real-world scenario. “But overall, in a mobility context, we start treating people as individuals rather than recognizing them only as a member of a category,” she said. This research was supported by the U.S. Air Force (Award Nos. FA955-01-41-0020 and FA9550-12-1-0021). The content of this article does not necessarily reflect the views of this organization. The research paper, “The Inevitability of Ethnocentrism Revisited: Ethnocentrism Diminishes as Mobility Increases,” Soham De, Michele Gelfand, Dana Nau and Patrick Roos, appears online December 8, 2015 in the journal Nature Scientific Reports.